Harley Street is home to Advanced Vision Care laser eye surgery clinic and has long been associated with medical excellence. There are many private practices and clinics in the area and we thought you may be interested to learn a little more about it’s history and how it became the place to find the best medical professionals. Harley Street takes it’s name from Edward Harley the 2nd Earl of Oxford and Earl Mortimer. In 1715, he began building the houses on Harley Street and surrounding streets, such as Cavendish Square. Ownership of Harley Street was passed down through the Portland family and currently stands with the de Walden’s, one of the wealthiest families in Britain thanks to their London properties worth over £1 billion. When Harley Street was first built in the 18th century it was part of the village of Marylebone, but as the end of the century arrived many more Georgian houses had been built in the area. The properties began attracting the wealthy and fashionable to the area and it slowly became encompassed in the city of London. Harley Street is now in the heart of London in the City of Westminster, situated between Regents Park and Oxford Street, with those being the closest tube stations. Doctors began to gravitate to Harley Street in the early 1800s, attracted by the central location and it’s impressive properties combined with the easy access to the large railway hubs at Kings Cross and Marylebone. In 1860 there were around 20 doctors in Harley Street, but by 1914 that number had risen to almost 200. 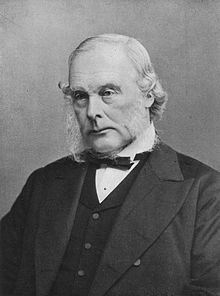 Harley Street has been home to a number of famous medical professionals, such as Sir Joseph Lister, a pioneer in antiseptic surgery. Lister lived just round the corner from Harley Street at 12 Park Crescent. By applying Louis Pasteur’s advances in microbiology, he promoted the idea of sterile surgery while working at the Glasgow Royal Infirmary. Lister successfully introduced carbolic acid (now known as phenol) to sterilise surgical instruments and to clean wounds, which led to a reduction in post-operative infections and made surgery safer for patients. Without his work, the safe surgical procedures that we have today wouldn’t be possible. 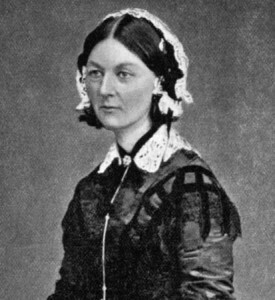 Perhaps the most famous is Florence Nightingale, the “lady with the lamp” began her medical career on Harley Street at the Institute for the Care of Sick Gentlewomen from 1853. The following year she was sent to the Crimean War where she, and her team of volunteer nurses, found terrible conditions, short supplies, neglected hygiene and mass infections. Florence wrote to The Times calling on the government to tackle the poor conditions. She tended to the wounded soldiers, attempting to improve their nutrition and supplies and reduce overworking. She dedicated her life to improving healthcare and is considered to be the founding of modern nursing. 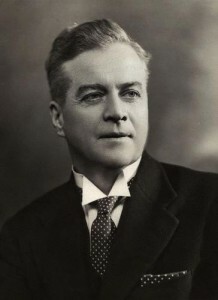 Fans of the Oscar-winning movie The King’s Speech will know the story of how the Duke of York and future King George VI was treated for a severe stammer by Lionel Logue, a Harley Street speech therapist. It was at 146 Harley Street that the Duke of York sought Logue’s help. In 1944, Logue became a founding fellow of the College of Speech Therapists, which became the Royal College of Speech and Language Therapists. Harley Street remains a centre for medical clinics, with over 3000 people employed in the area. It retains its reputation as a centre of medical excellence and Advance Vision Care are proud to now be a part of it’s history.